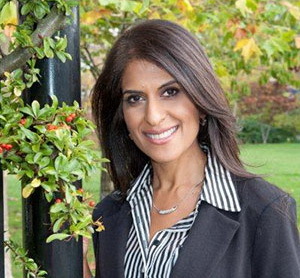 Vitalia Healthcare Naturopath Our Team Dr. Tasreen Alibhai, N.D.
Dr. Tasreen Alibhai, BSc (UBC), ND is the Director of Vitalia in Vancouver, British Columbia. She has been in practice since earning her Doctoral of Naturopathic Medicine at Seattle’s Bastyr University in 2000. She completed her Bachelor of Science degree at UBC. With over 19 years of experience, Dr. Alibhai has seen thousands of patients and has learned a lot about the evolution of science based natural therapies. In tandem, while her passion for naturopathic medicine evolved, so did her practice. Over the years she has learned a lot from her clinical practice. Through in depth research and regular studies, her approach to healthcare and preventative medicine has evolved to focus on underlying biochemistry and functional medicine. To find out what is standing in the way of achieving good health, energy and vitality, removing those obstacles and ultimately allowing the body to return to a state of optimal health and wellness. Dr. Alibhai is college certified in chelation therapy, IV therapy and has Prescribing Rights. Dr Alibhai has also received her training in biomedical treatments for Autism from the Medical Academy of Pediatric Special Needs and attends numerous conferences by the A4M and AAEM. Over the last 9 years she has focused a lot of her studies on biomedical treatment for Autism and ADD/ADHD which has allowed her to gain a better understanding of how our cells function, the importance of mitochondrial health, the role of genetics, epigenetics and toxins in disease, the importance of the gut microbiology in health and the balance of key hormone systems in our body. Dr. Alibhai’s ability to develop effective treatment plans comes from her extensive experience. After obtaining a comprehensive health assessment along with a complete physical examination and any laboratory testing she recommends, Dr. Alibhai will investigate the underlying areas of the body to support and treat first. By investigating and treating the root causes of disease first, the multitude of symptoms that the patient comes in begins to improve. Her practice includes the use of nutritional and lifestyle counseling, chelation IV therapy, botanical medicine, IV vitamin/mineral therapy and bio-identical hormone replacement therapy. She utilizes state of the art diagnostic and laboratory testing to effectively identify and treat the underlying causes of many conditions including hormone disorders, digestive complaints, skin disorders and conditions of the immune system. Her reputation as a leader and worldwide advocate in integrative medicine has brought patients from around the globe to Vitalia Health Care for the most effective and leading edge natural health care available in Canada. Dr. Alibhai is an active member of the British Columbia Naturopathic Association and College of Naturopathic Physicians of BC. She is passionate about naturopathic medicine and believes it is important to support the profession. She is a member of the quality assurance committee of CNPBC, the professional regulatory board in BC and an advisor to the specialities task force committee of the College of Naturopathic Physicians of Vancouver BC. The QAC is responsible for maintaining and promoting the highest standards of practice among Doctors in BC. Her passion and her practice comes out in how she interacts with her patients. In particular, Dr. Alibhai is a compassionate practitioner who listens to her patients and as her patients themselves say, they feel cared for and understood. She finds true happiness when she can help her patients feel better, become healthier and enjoy their life with better health…after all, this is why she became a doctor in the first place!